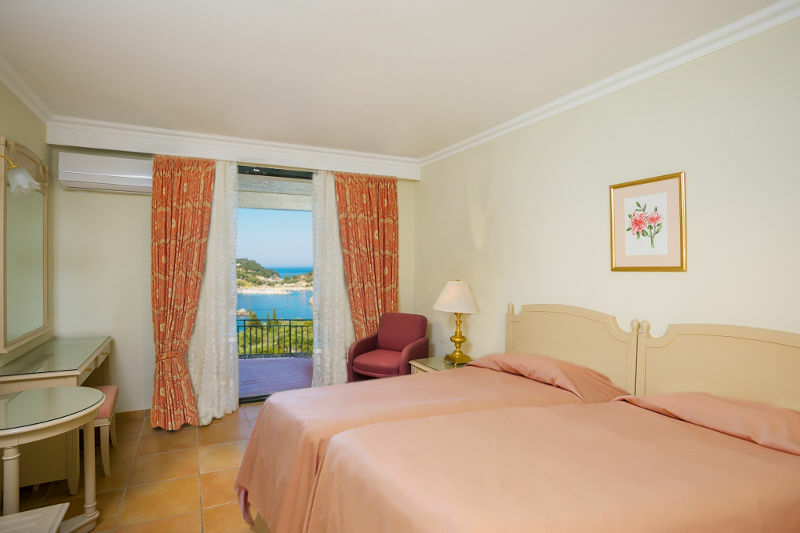 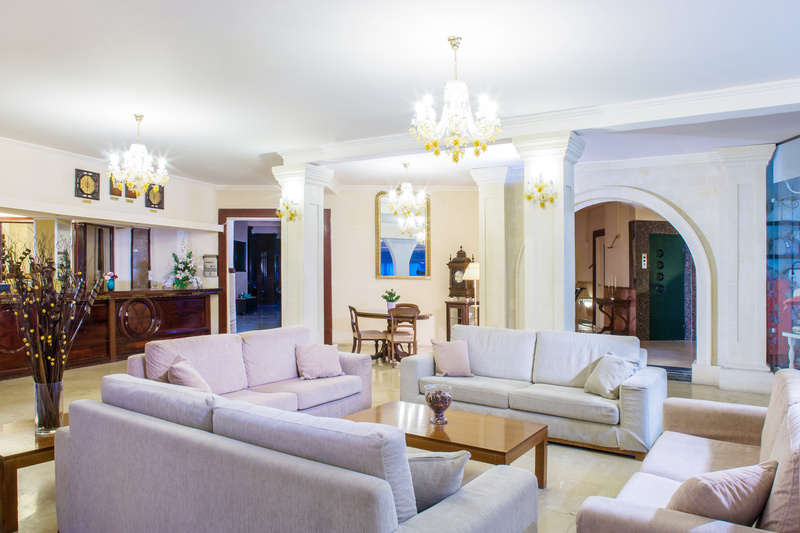 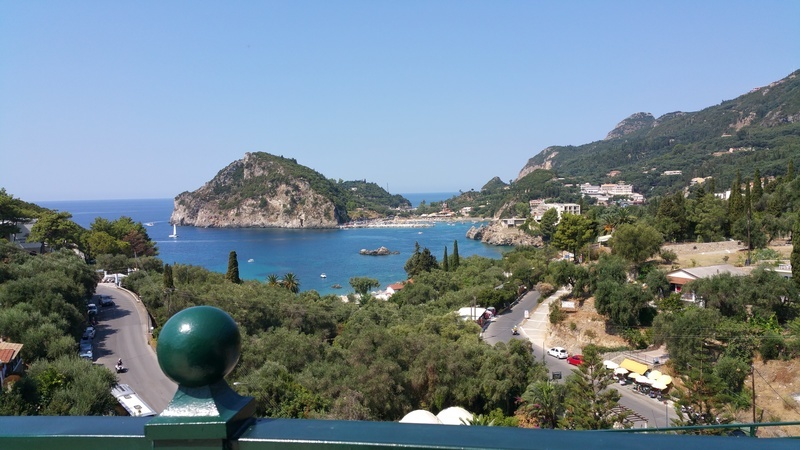 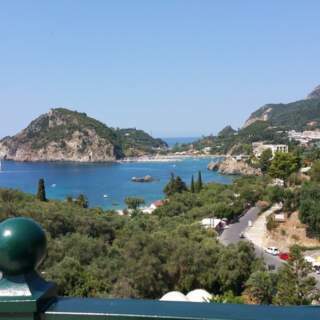 Enjoy the magnificent view, the luxurious accommodations, the two outdoor swimming pools, the nearby beach and the cultural riches of Corfu town. 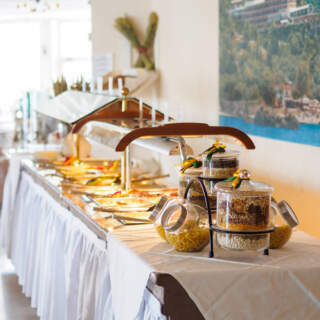 Greet each day with a healthy buffet style breakfast. 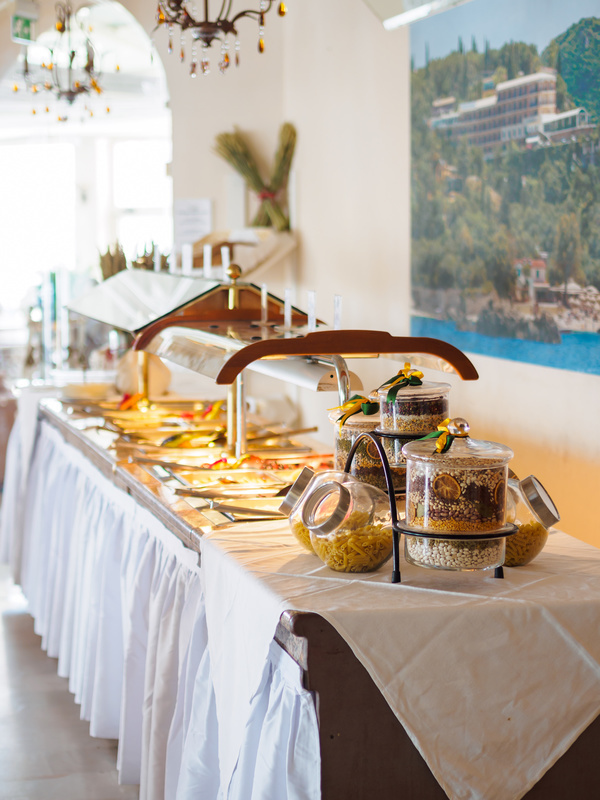 Treat yourself from a large selection of Mediterranean dishes. 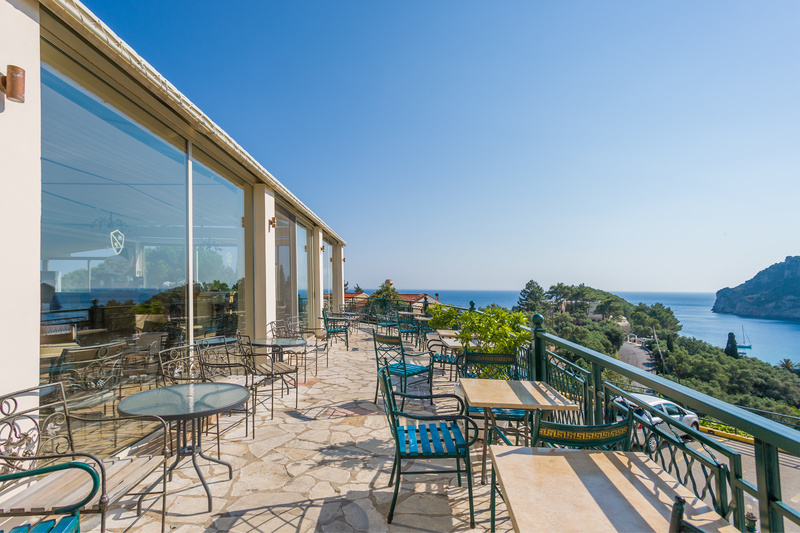 Chill out after an exhausting day and experience the magnificent scenery and sunset. 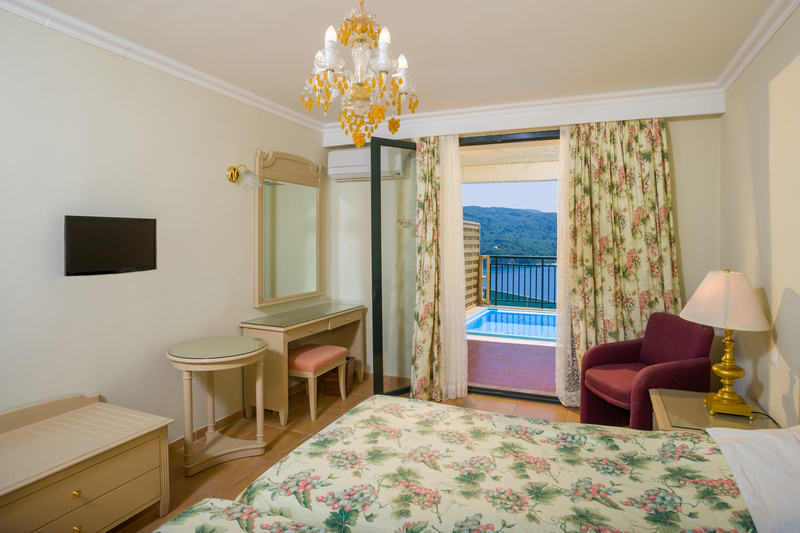 Enjoy your stay in one of our Art Nouveau decorated guestrooms, luxury bungalows with a mini pool or suites. 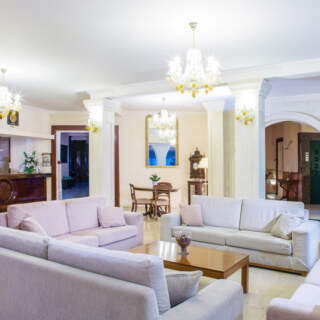 CNic Paleo ArtNouveau (ex. 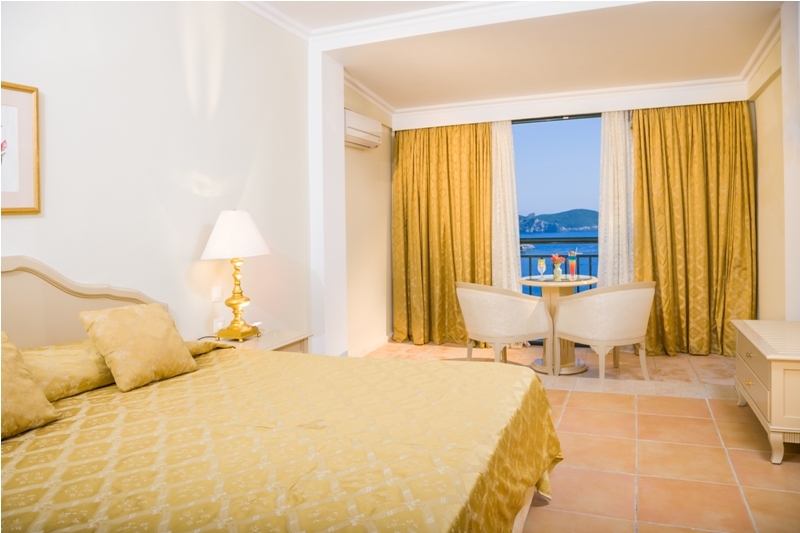 Paleokastritsa) is a beautiful classical design four star hotel that has been renovated twice in sections over the past 6 years. 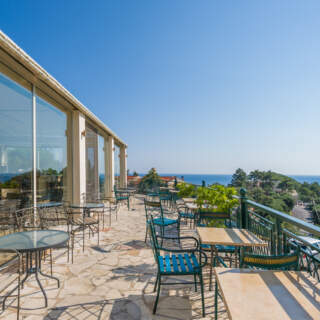 It combines 2 outdoor fresh-water swimming pools, magnificent views of the surrounding area, nearby attractions of Paleokastritsa Beach and Paleokastritsa Monastery and much more. 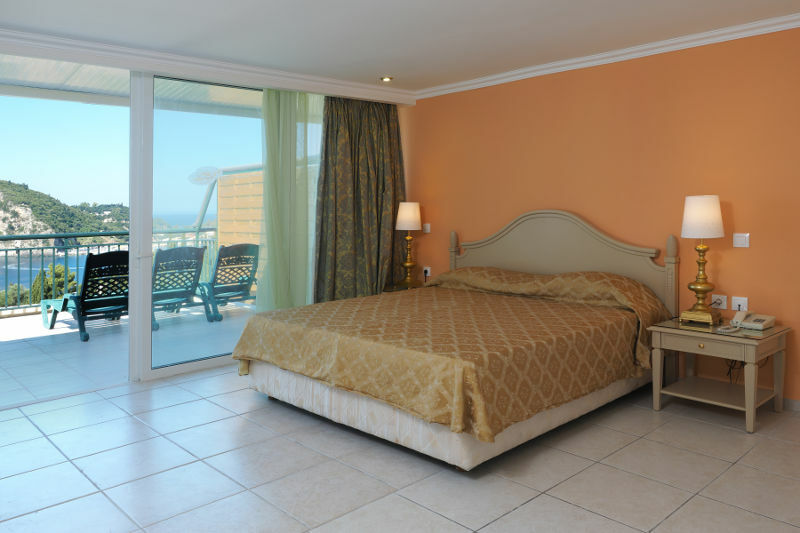 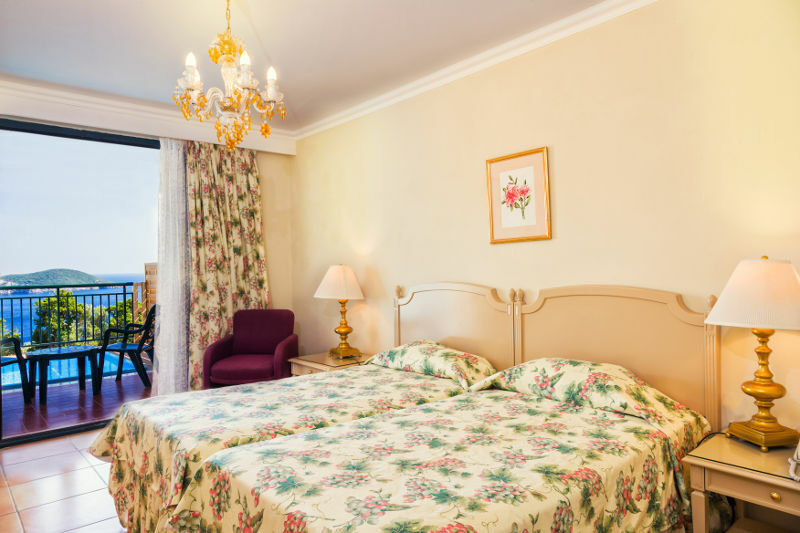 The hotel consists of 175 spacious and comfortable guestrooms, each with Art Nouveau decor and stylish furnishings.